Jonae joined our team in August 2013. 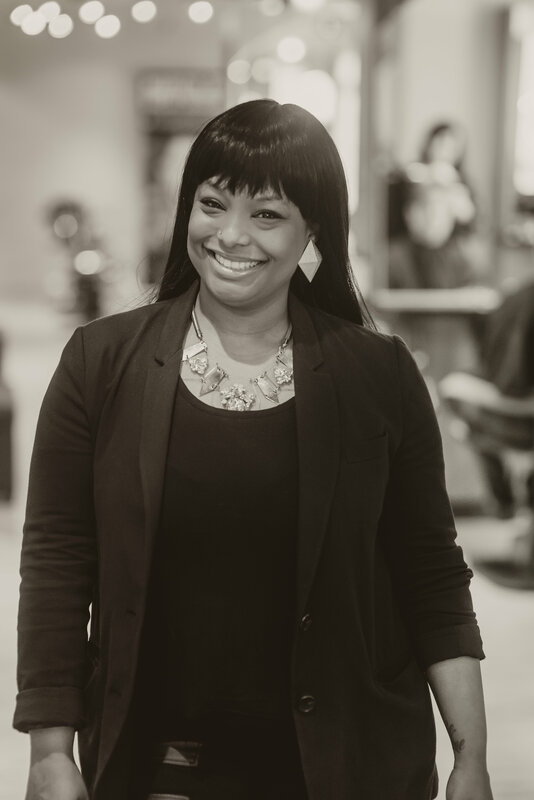 She came to us with a background in retail management and sales & visual marketing. She quickly won everyone’s hearts as a sales and service coordinator and decided to try her hand at assisting as well. She gives the best, most relaxing head massage and she says, “Surprisingly, giving massages are just as relaxing for me as it is for our guests!” You can always count on her to be uplifting and positive and some guests have commented that, “she is a hoot!” Outside of YOU salon she loves spending time with her daughter, or as she calls her “my little Lady.” When you’re in, be sure to ask her your questions about fashion and style trends. She is sure to leave you with some great tips for fashion and thrift shopping since these are her personal hobbies. Jonae is currently attending the Baltimore School of Massage and will become a licensed massage therapist. You may see her behind the front desk or behind the shampoo bowls working her magic.